HOUSTON (KTRK) -- Three mainlanes were shut down Saturday on US-59 southbound at IH-45 after a truck struck a barricade. The freeway reopened just after 8:10pm. 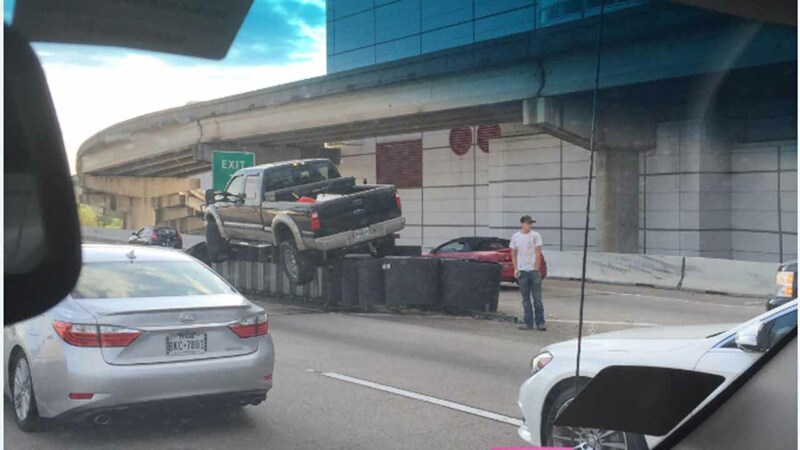 An eyewitness photo shows the Ford truck atop the barricade. No word on what caused the driver to hit the barricade or if any charges will be filed.